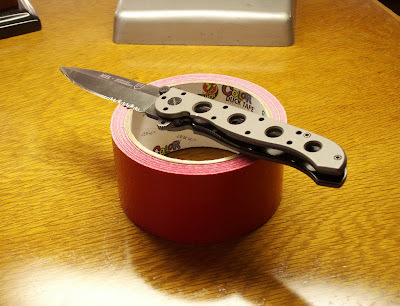 Engineering Johnson: Duct tape is forever! Let’s play ‘what if’ for a moment. You come to the work in the morning and look at the calendar. February 14. That sounds familiar; ah wait, it’s Valentine’s day. You haven’t bought a gift, or even a card. You would call the florist, but that costs money and it’s the last minute so it will cost extra and it’s probably out of the way on the trip home. 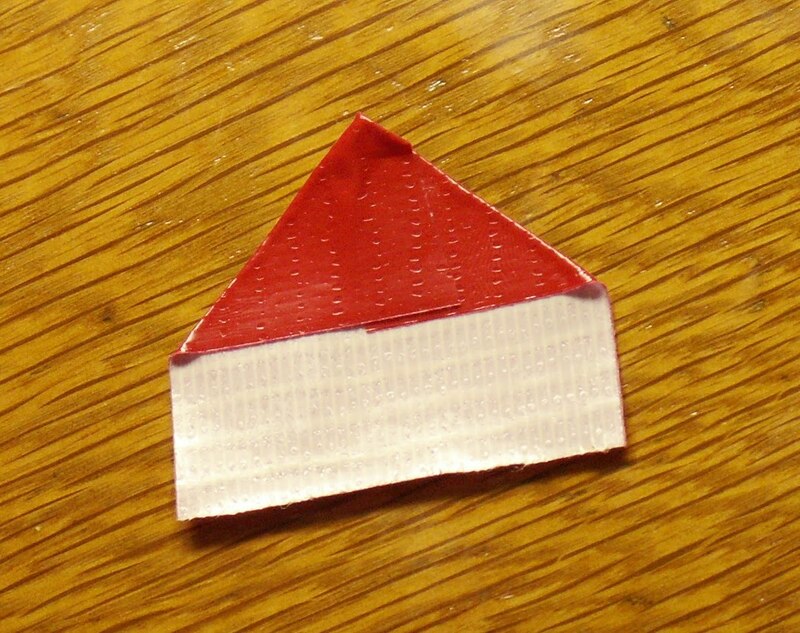 I say, take a cue from Red Green and go get some duct tape. 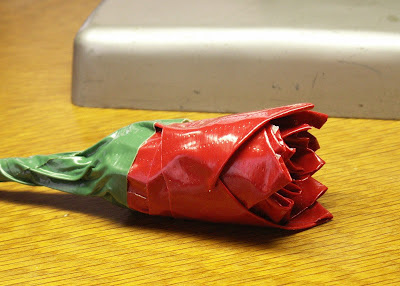 You can find instructions for duct tape roses elsewhere online, but I’ve tweaked them a bit and I think the results are quite nice. 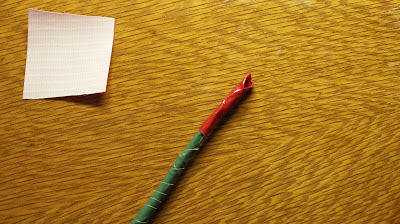 Start with two rolls of Duck brand duct tape, one green and one red. You’ll also need some wire, but you should already have this in the emergency kit in your car right?! Start with a wire (In this case left over from rewiring my house) and wrap it with green tape. 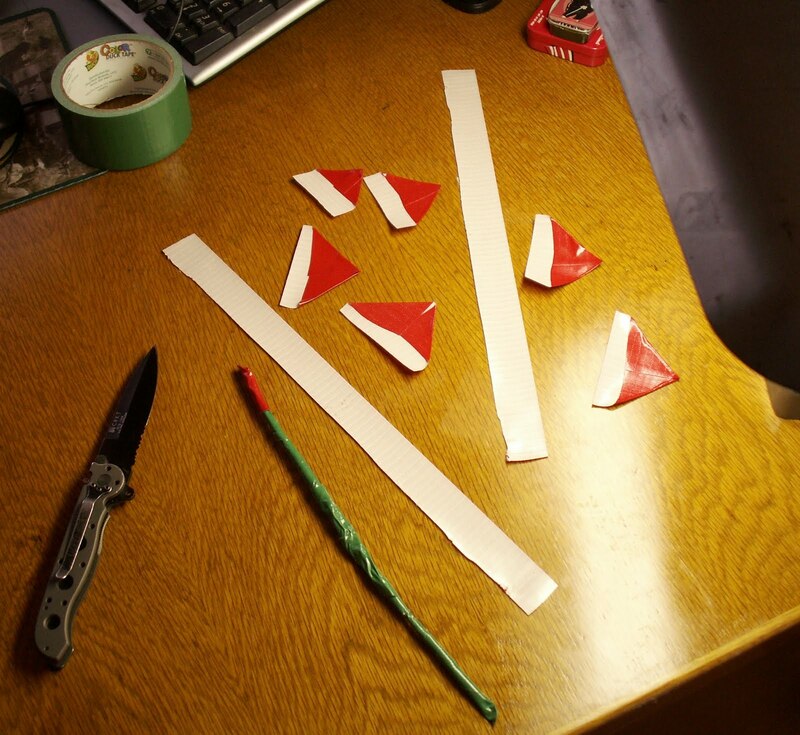 Then cut the first petal from red tape. Cut a piece that’s roughly square then fold the corners like so. Wrap it around the stem to form the center of the rose. Now here’s the trick to getting something that looks like a rose and not just a wad of duct tape. 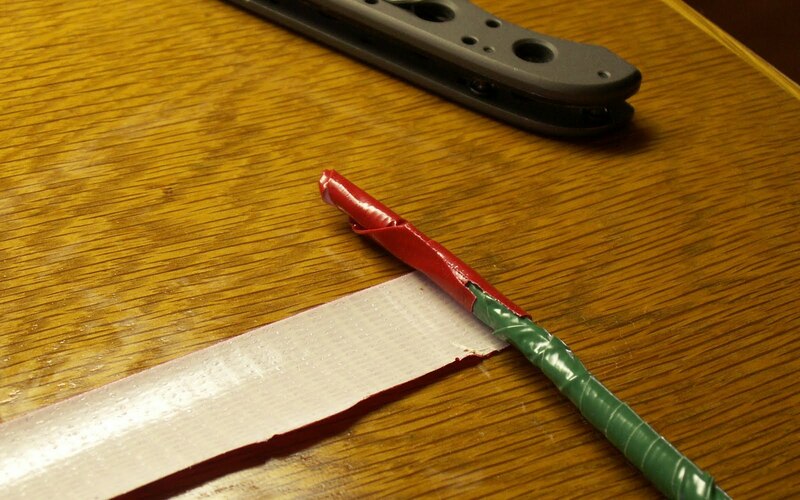 Slit a foot long piece of duct tape into halves or thirds. Wrap this around the base of the first petal. 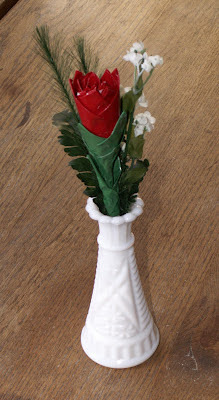 Because the petals are thicker at the top than the base, this wrap is needed to keep the blossom from turning into a cone. 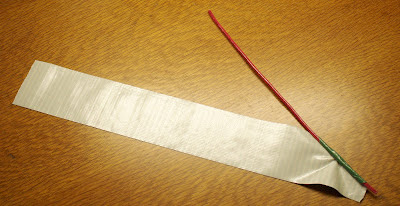 You’ll want one of these strips for every 5 or 6 petals you put on the flower. 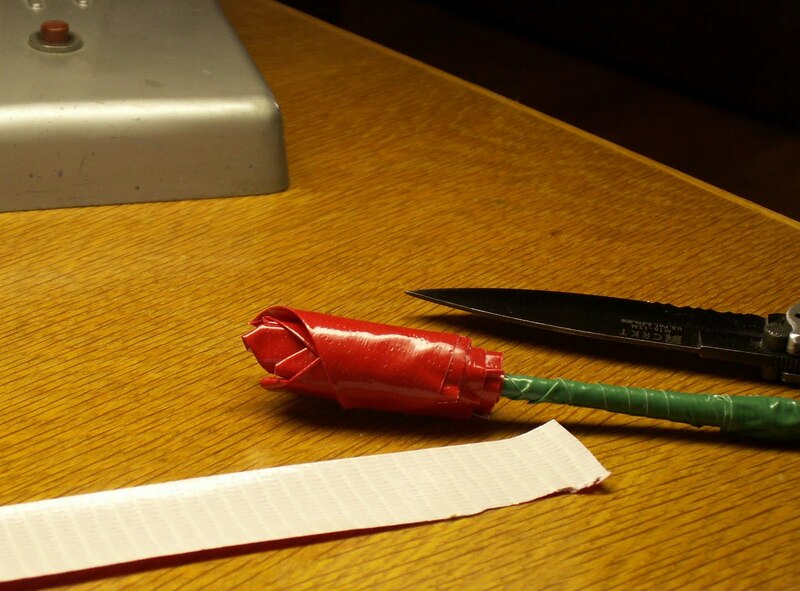 Begin wrapping petals around the stem, followed by the thin strips. Once the blossom is looking full (at least a dozen petals or more,) wrap the base of the blossom with green tape. 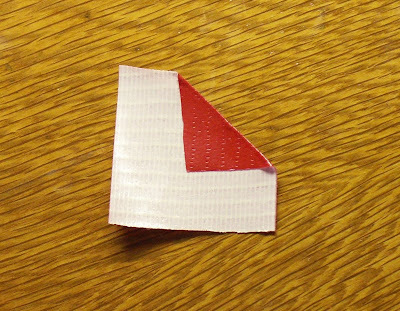 Make a few leaves from the green tape. These can be a bit taller than the red petals. Surround the blossom with a few green leaves then add a couple leaves to the stem. Repeat to make a bouquet or add to a vase and act like you planned this all along. 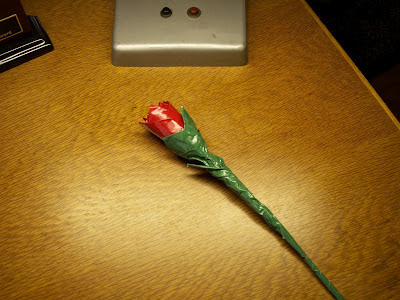 You just saved about 30 dollars on a bouquet of roses! And remember, I’m pulling for you! We’re all in this together. Very cool, and worthy of an engineer.